Claudia is an Obstetrics and Gynecology nurse with several years of experience. She is certified both as a medical assistant and a licensed phlebotomist. Claudia is mainly responsible for managing the front office. She is in charge of scheduling patients’ appointments, assisting in coordination of insurance authorizations as well as booking procedures and surgeries. 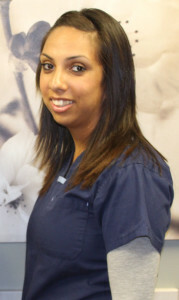 Claudia is highly compassionate and very dedicated to providing the patients with the most professional care. Her friendly and accommodating personality is a great asset to our office. 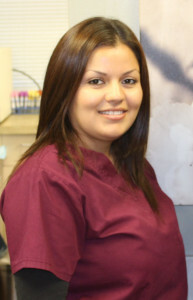 Ramona is a certified medical assistant and licensed phlebotomist who is in charge of our back office. She is responsible for taking vitals, drawing blood, administering injections and helping Dr. Ayalon with patients’ examinations and procedures. Throughout her employment with our office Ramona has been demonstrating genuine talent in ensuring the most skilled care to the patients. Ramona’s positive attitude and lively character make her an invaluable part of our staff.